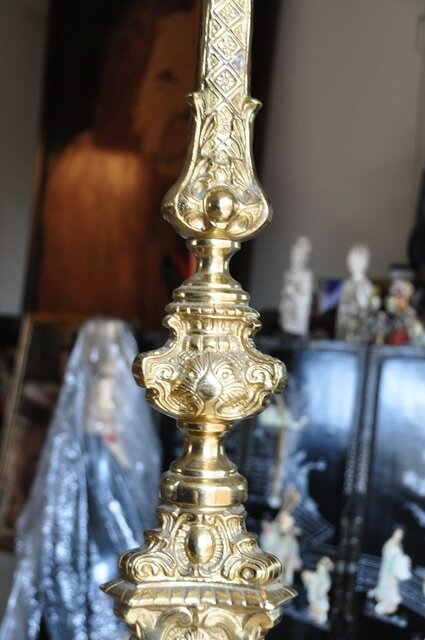 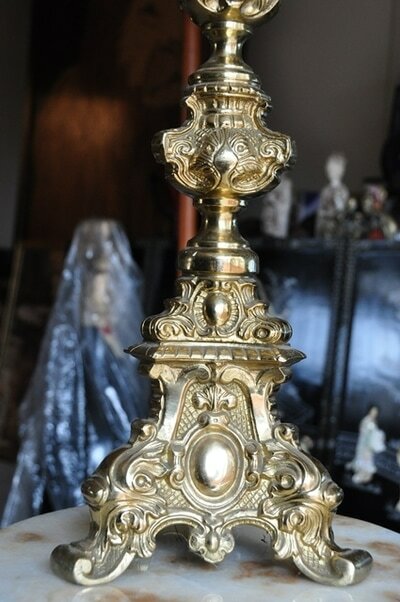 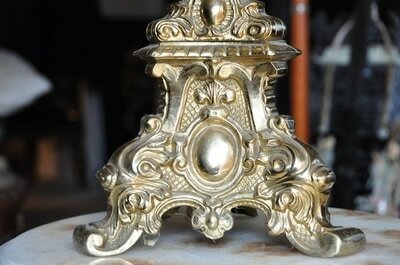 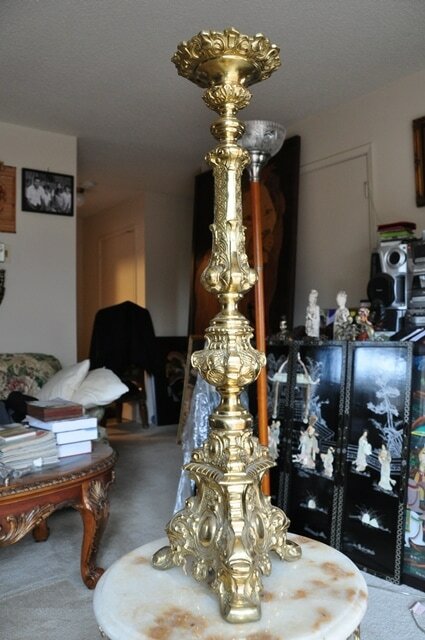 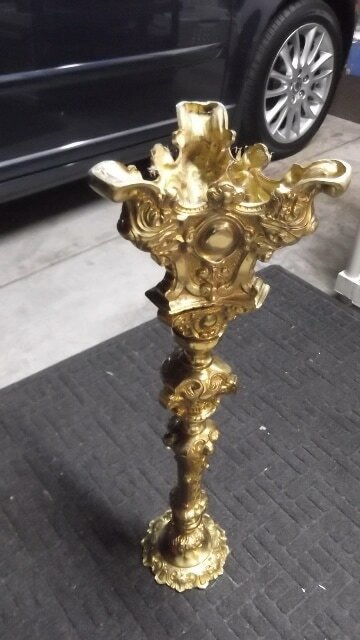 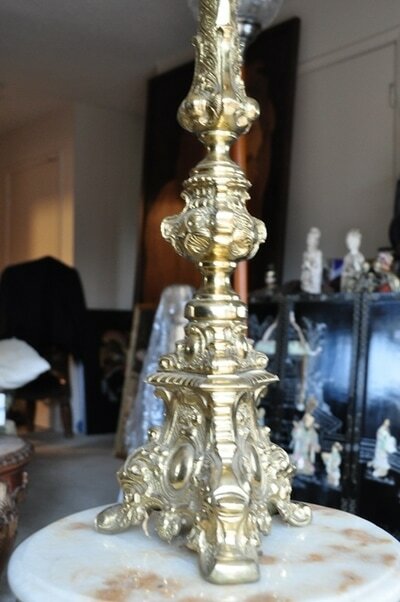 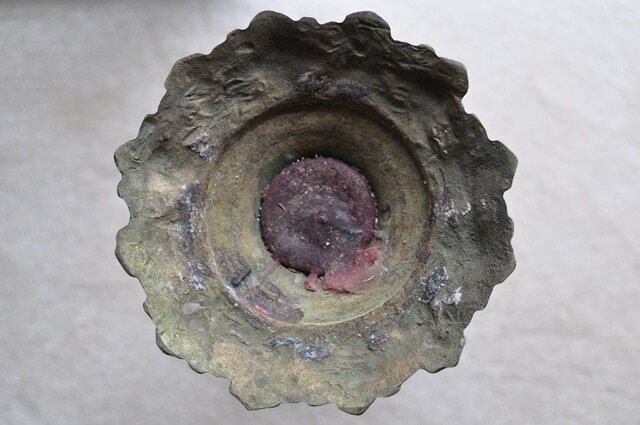 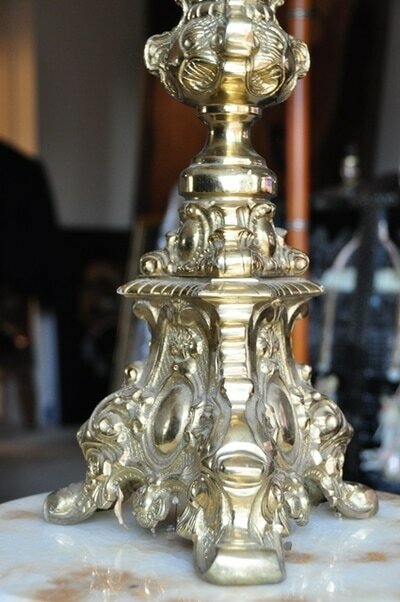 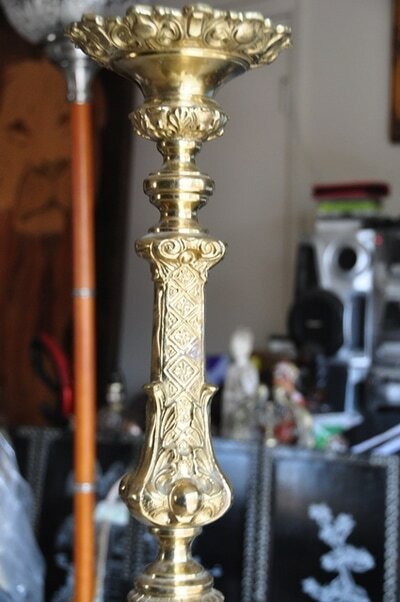 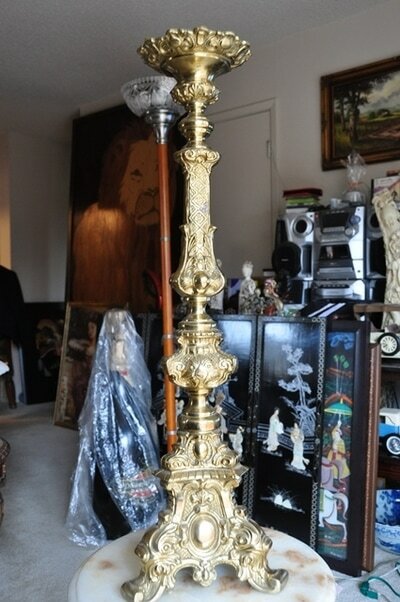 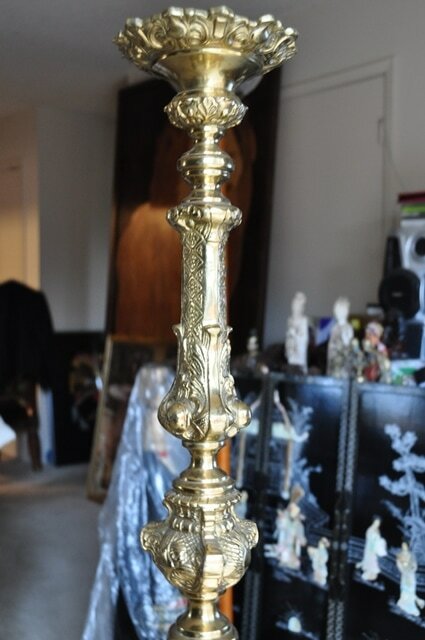 This is an Italian Baroque style brass candleholder with baluster form standard with acanthus leaves centering cabochons, surmounted by a scrolling spade leaf drip pan, raised on foliate supports. 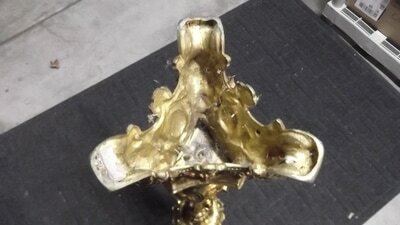 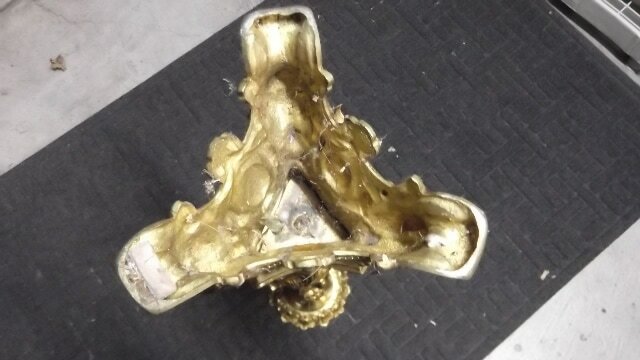 It might have been used in a church altar. 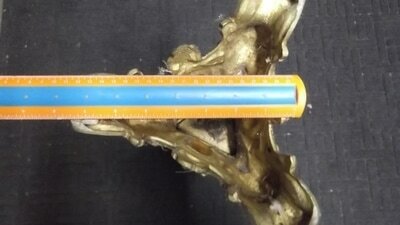 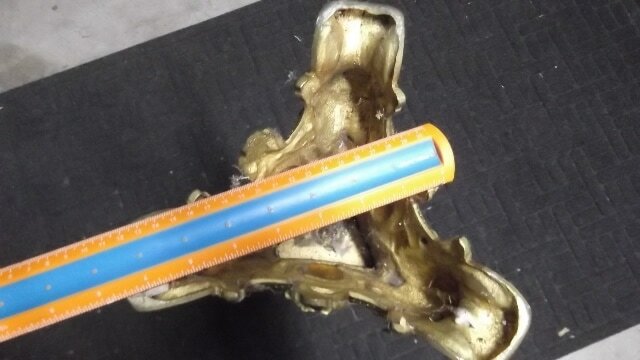 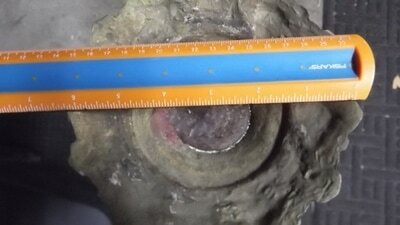 It is 15 lb in weight and 30-1/4" tall. 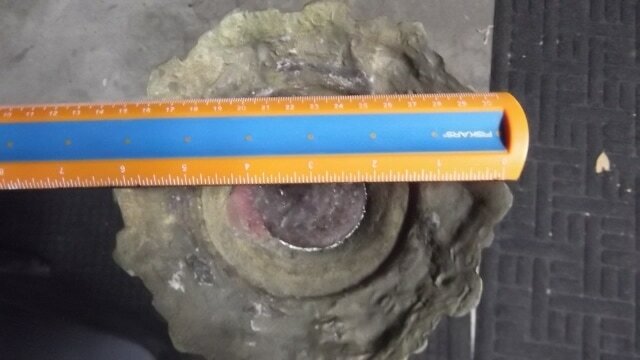 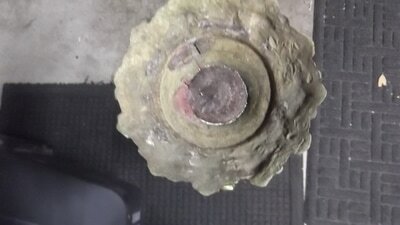 The diameter of the top is about 6" and the bottom (feet) is about 10".